Tribal Clash Portugal 2018 was off the charts. 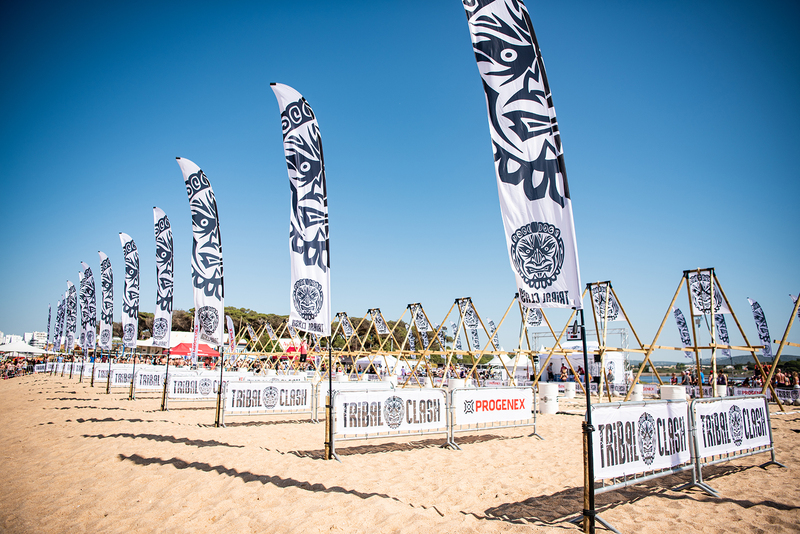 This was the best competition we have delivered to date, and you agreed: we sold out Tribal Clash Portugal 2019 – 160 team spots in total – in just 90 minutes, despite our website collapsing under the traffic. The messages we have received, about the weekend in Portugal being life changing, transformational, one of the best experiences in one’s lifetime – this is why Tribal Clash came to be. What started as an experimental beach throwdown in a remote corner of Devon in 2013 is now more than just another fitness competition among many fitness competitions. Tribal Clash is ready, we are ready, the world is ready, for Tribal Clash 2.0. And we want you to come with us. We are launching an equity crowdfunding campaign via Crowdcube to roll out Tribal Clash into a global event series. We are raising £180,000 in equity, which will support the launch of our next four international events. Our aim is to build Tribal Clash into a 10-15 event global series, with a worldwide final, in 3 years. We now have the team and the production capability to deliver Tribal Clash anywhere in the world, as you all witnessed in Portugal. Australia and California are next. Brazil, Dubai, South Africa, China, East Coast USA, Singapore are in production. Imagine Tribal Clash in the world’s most iconic beaches, and a season finale in a secret exotic location with some of the most insane programming ever imagined by a human brain, broadcast live. Ironman did this in triathlons, Spartan Race has done it in Obstacle Racing. We believe Tribal Clash can be the defining brand for functional fitness competitions worldwide. You now have a unique chance to join our tribe and own a part of Tribal Clash. During our Crowdcube campaign, you can invest in Tribal Clash and receive shares in the company in return. You can become a shareholder in Tribal Clash with as little as £10. You will then have partial ownership of the company so you will stand to benefit if the company does well. The opposite is also true: if Tribal Clash fails, you might lose some or all of your investment. Equity crowdfunding platforms such as Crowdcube have made investing in early stage start-ups possible for ordinary people, previously this was an opportunity reserved for wealthy individuals or venture capital funds. Investing on Crowdcube is easy an takes just a couple of minutes, find out more here. Our campaign will start by offering you, our community an opportunity to register your interest first. This may be the only time we are offering an opportunity to become a shareholder in Tribal Clash, own part of the company. Once we have reached our funding target, the investment round will close, and we will forge full steam ahead with our plan to create the world’s best competition series for amateur athletes. On Wednesday 23rd May the link to access the equity crowdfunding campaign pre-registration page will be available here on our website, it will also be sent to the 3,500 people on our mailing list and published on our social media accounts. We hope you will join our tribe and come with us on this epic adventure to some of the world’s most iconic beaches. With your support, we can build something extraordinary; and create inspirational and transformative experiences for thousands of people around the world. Stronger together. Welcome to our tribe!